HEATHER L.H. ROBINSON | Lewis & Ellis Inc.
Heather Robinson offers extensive health insurance knowledge with more than 25 years of experience working for insurance companies and consulting firms. 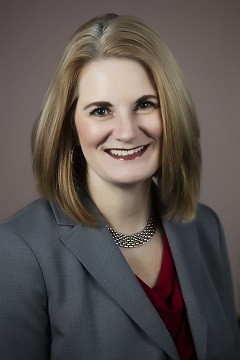 With a background that includes product lines such as Major Medical, Medicare Supplement, Medicaid, Long Term Care and Dental; Heather has had the opportunity to work with multiple types of insurance including individual, small and large employer group, association group and managed care. Heather also leads the medical underwriting team for L&E. She was instrumental is developing a medical and pharmacy debit point system that L&E uses to underwrite individuals of associations and employees of small groups. One of Heather's greatest assets for L&E clients is her data analysis capabilities. Every client's data tells a story; not only can Heather process large amounts of data into a meaningful story, but she can also tell this story in an easy-to-understand way. Heather helps clients understand their data and suggests ways to optimize their health plan profitability. Heather's work experience comprises product pricing, underwriting, industry benchmarking, and annual statement preparation. Working for ten years for insurance companies, Heather has completed hundreds of rate filings with nearly every state insurance department. When away from work, Heather can frequently be found reading a book or spending time with her family and dogs. Being an outdoor enthusiast, Heather enjoys camping, boating, hiking, and gardening.